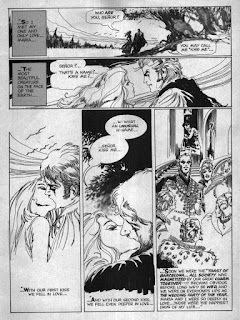 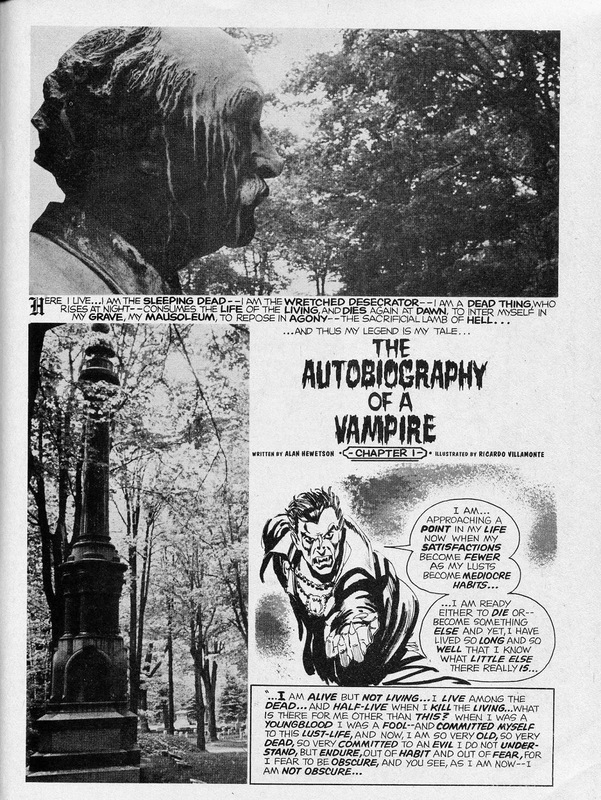 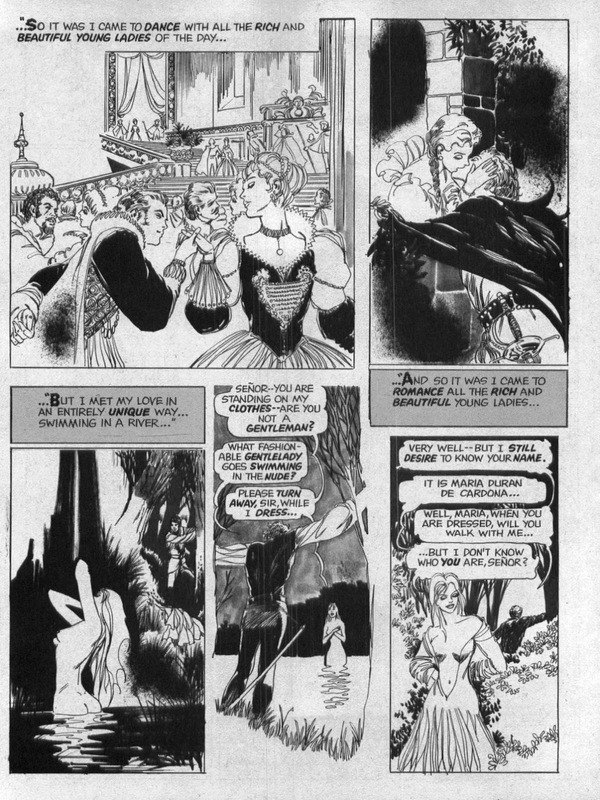 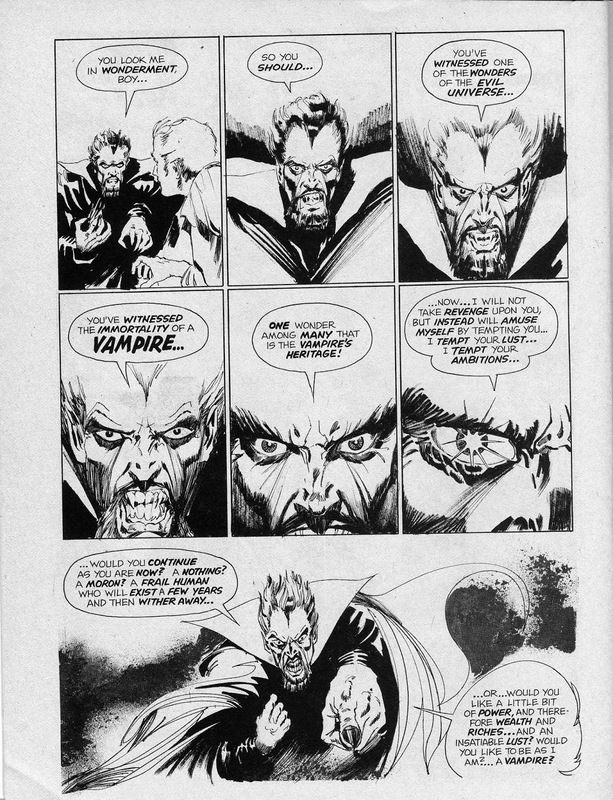 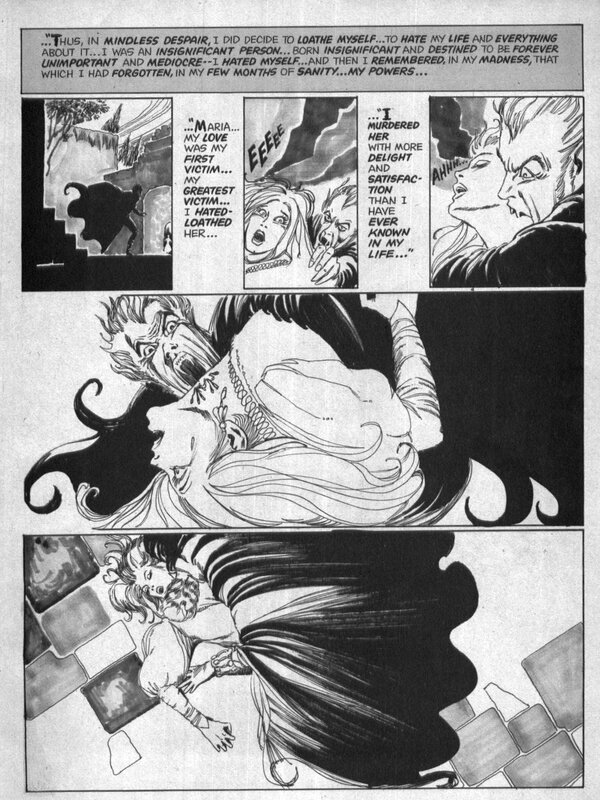 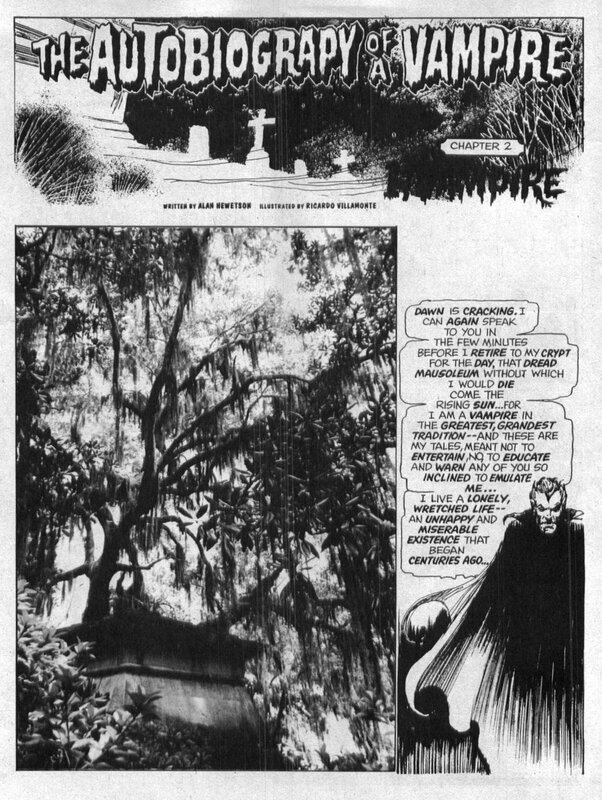 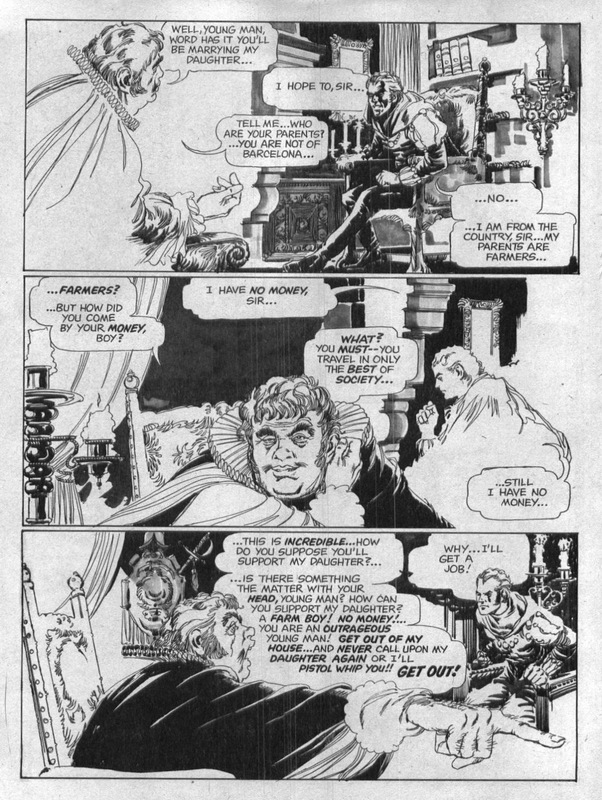 Autobiography Of A Vampire was a nice little strip from Skywald that seemed to vanish, unfinished, just as it was getting started. 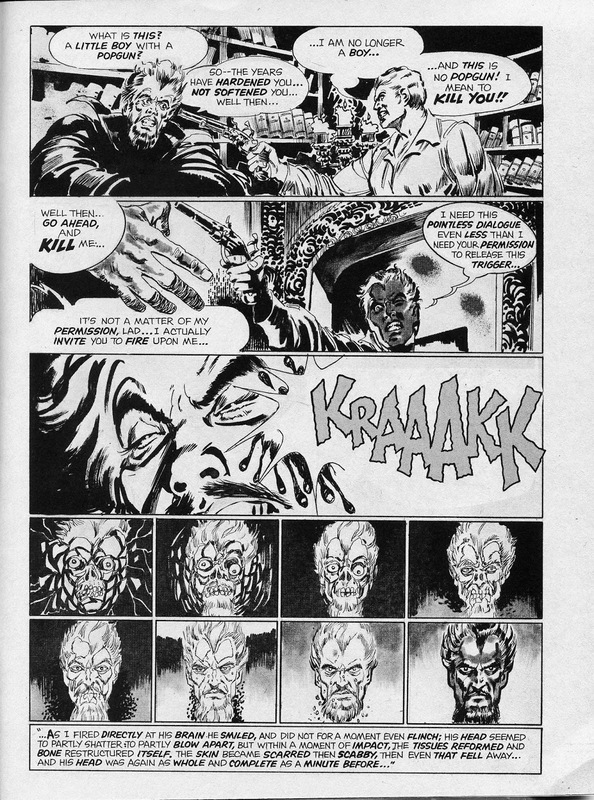 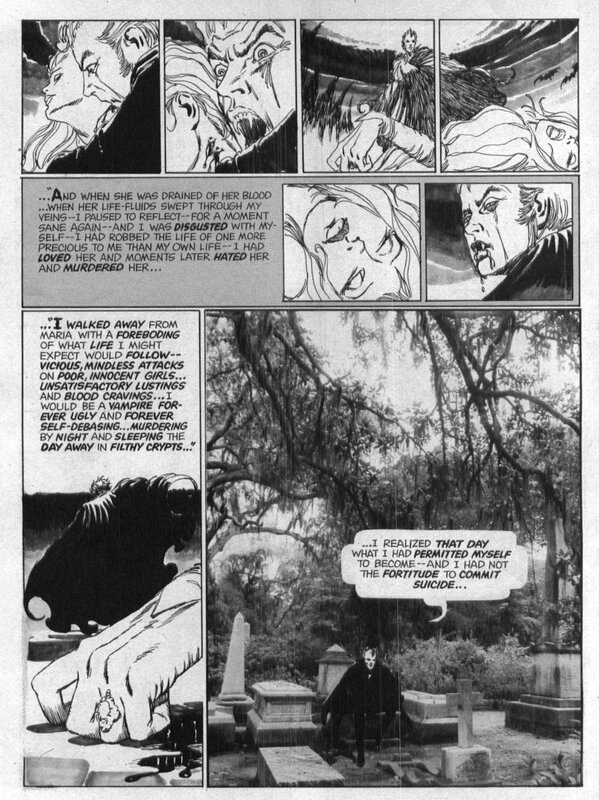 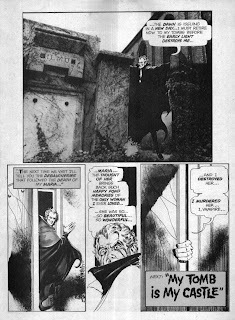 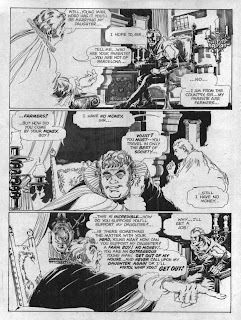 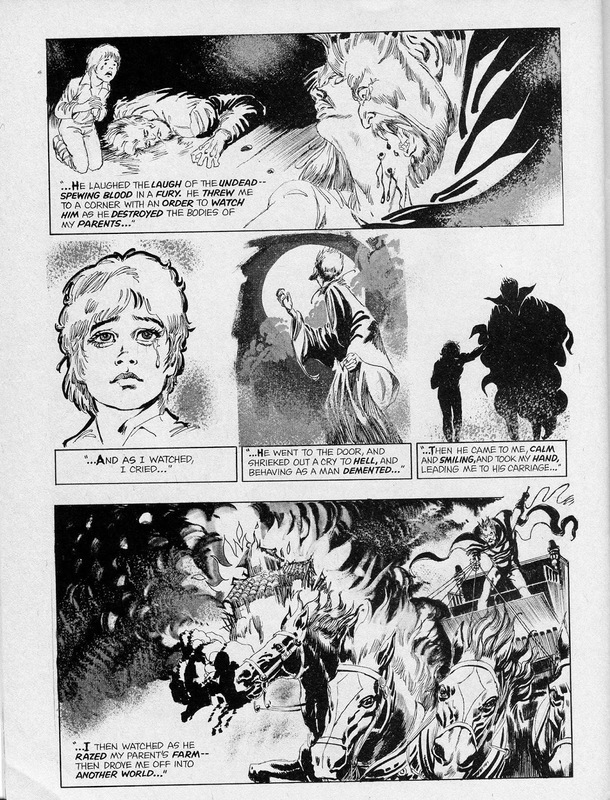 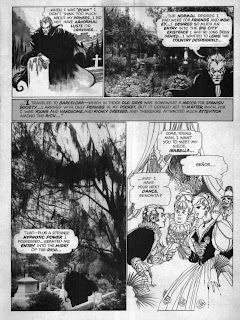 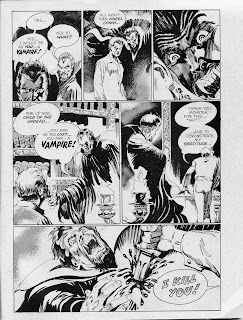 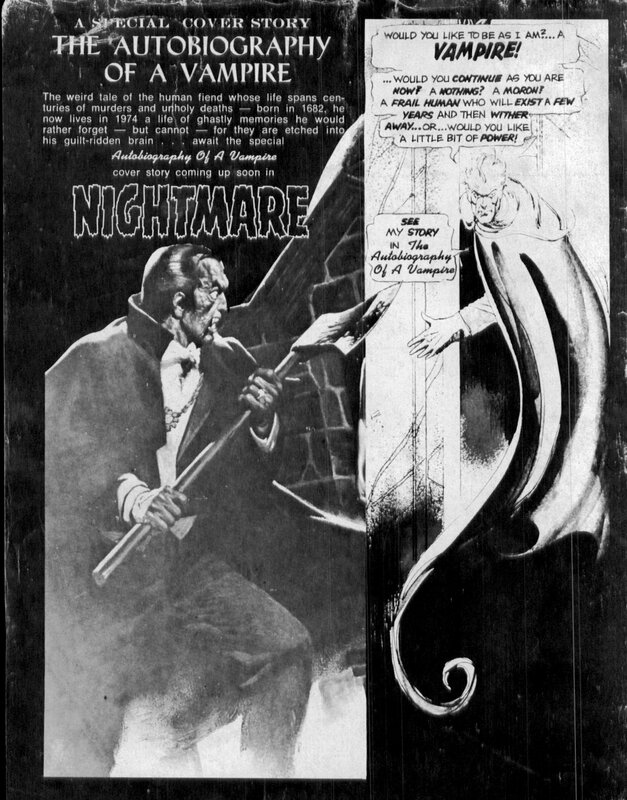 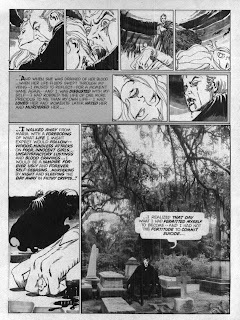 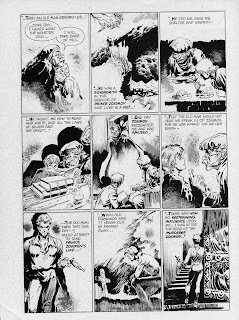 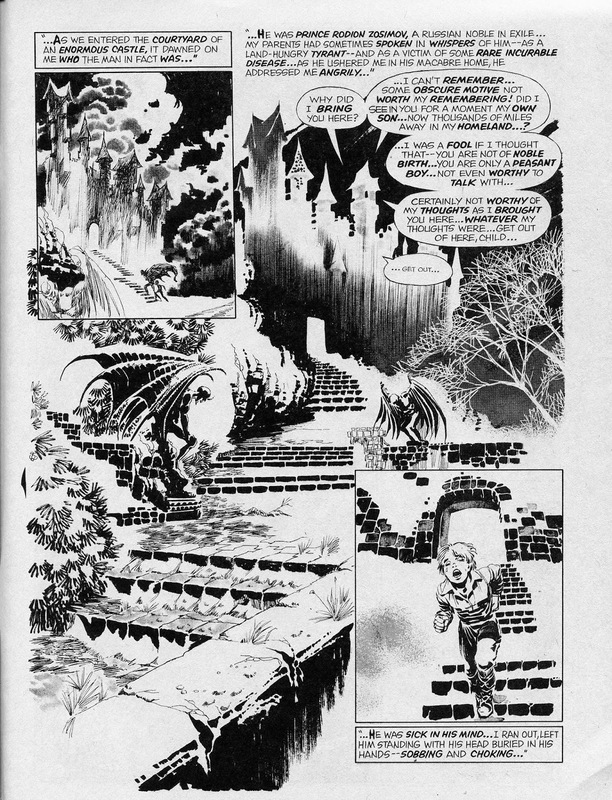 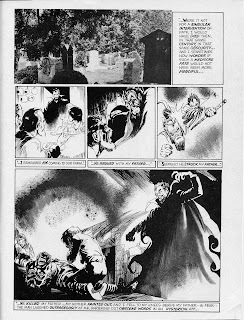 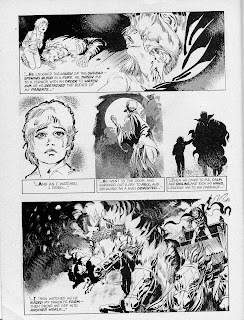 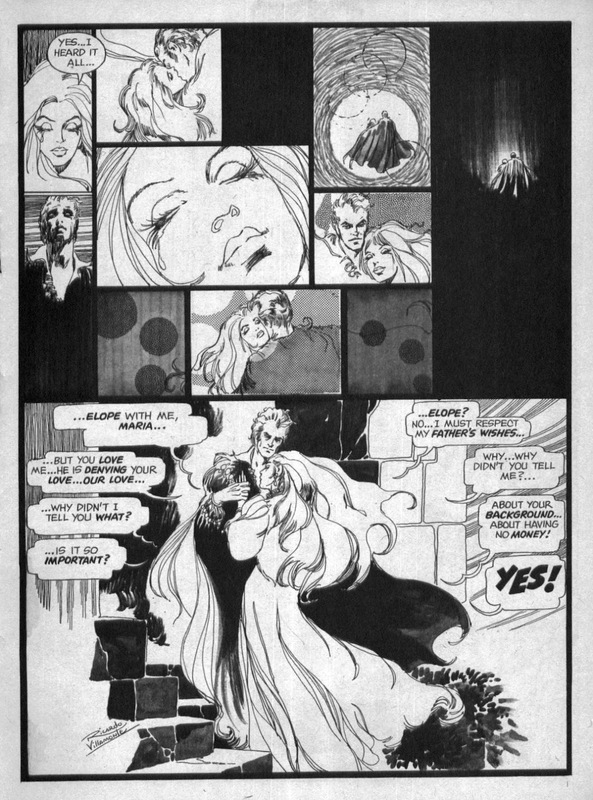 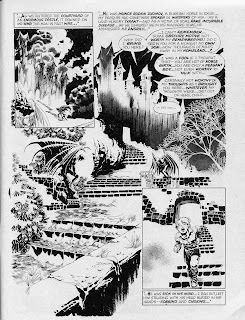 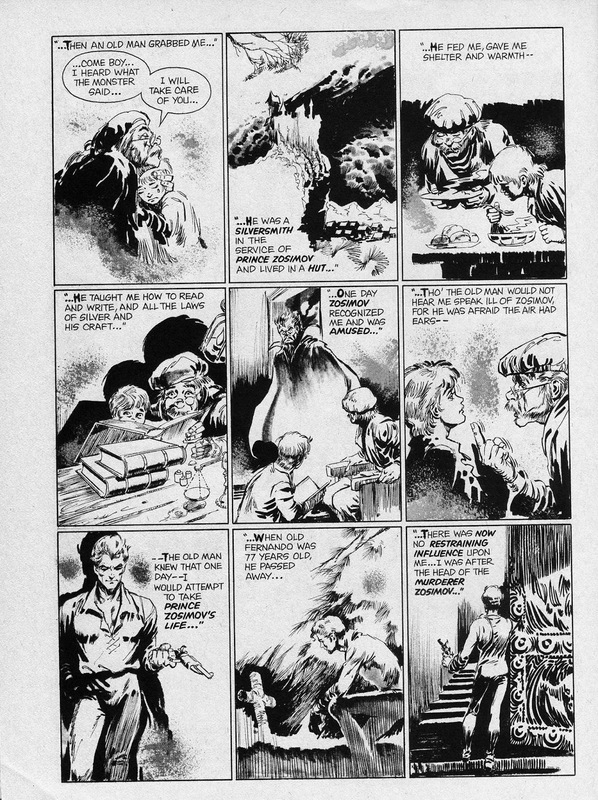 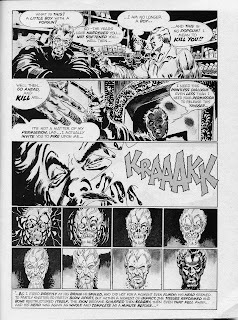 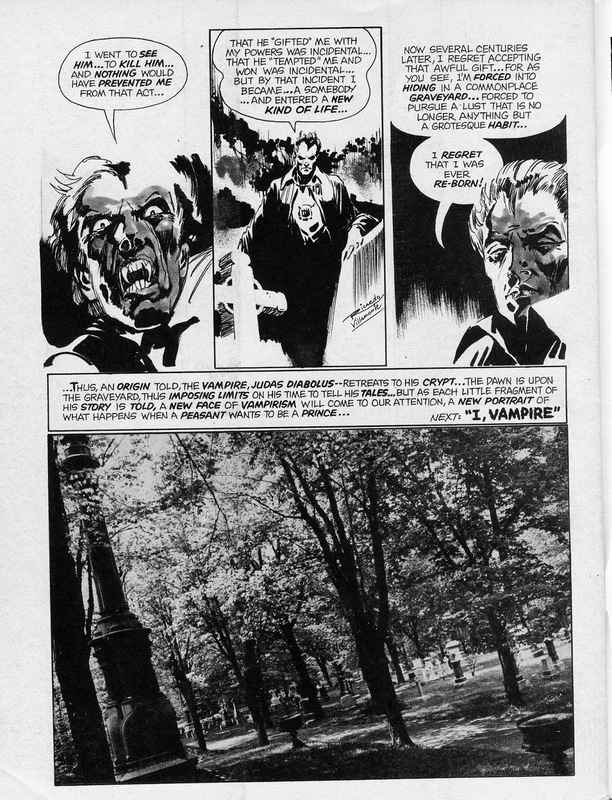 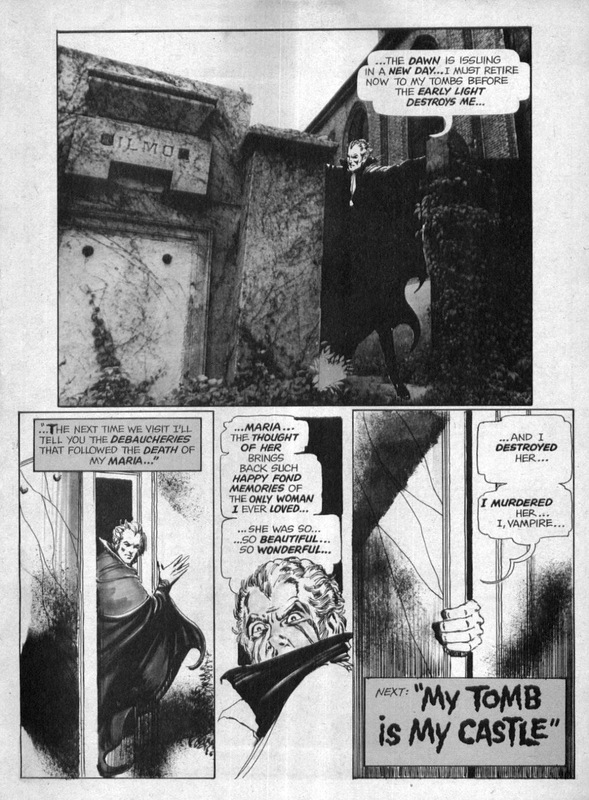 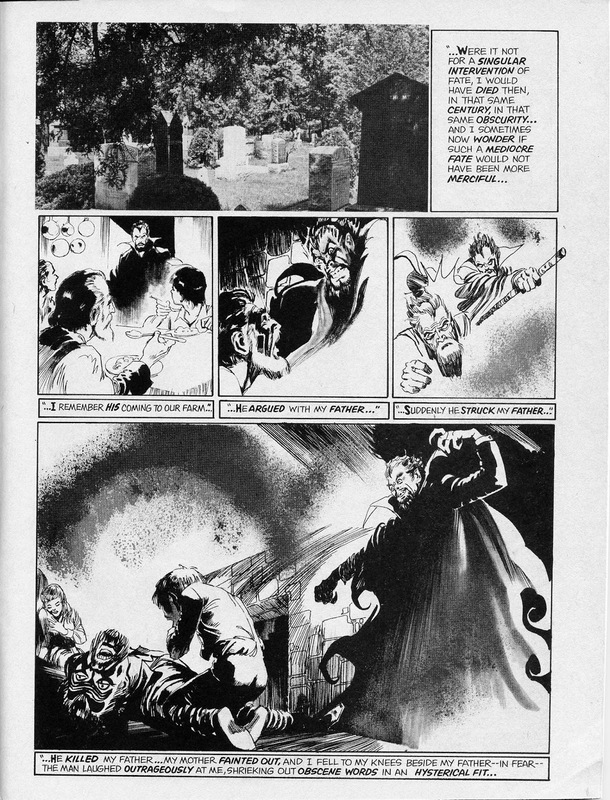 Ricardo Villamonte's art is much nicer than his later work for Marvel or DC, showing he was born to be a horror artist, and Archaic Al Hewetson's script is actually comprehensible for once, wrapping The Horror Mood around an actual story. 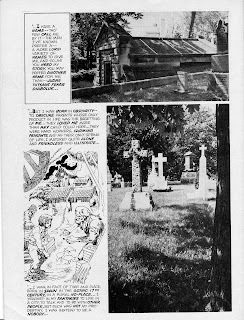 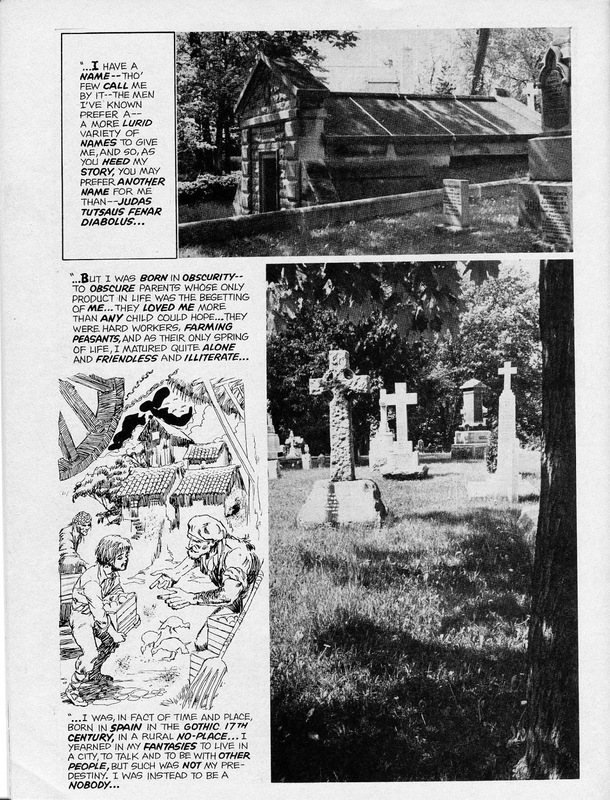 I also like the fact Al went out and photographed his local cemetery and shoehorned it into the art. 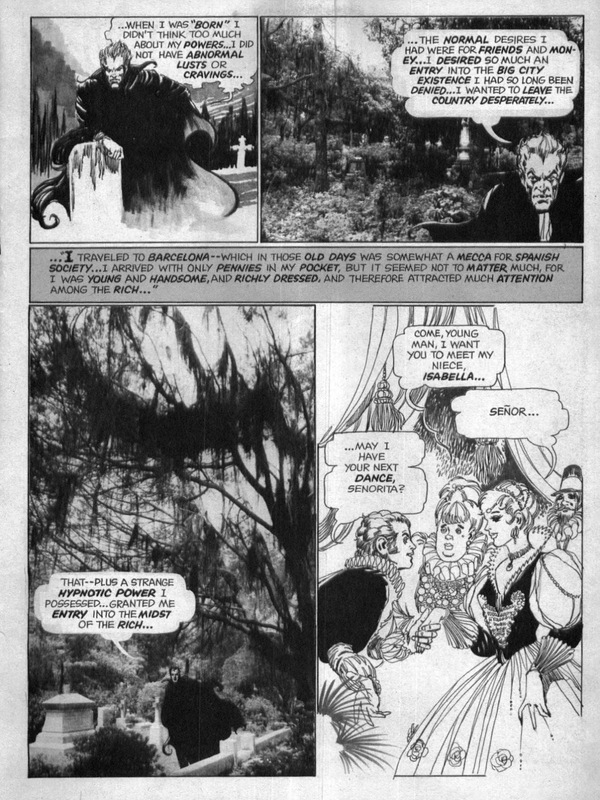 It adds even more gothic-ness to the piece and is nicely experimental.